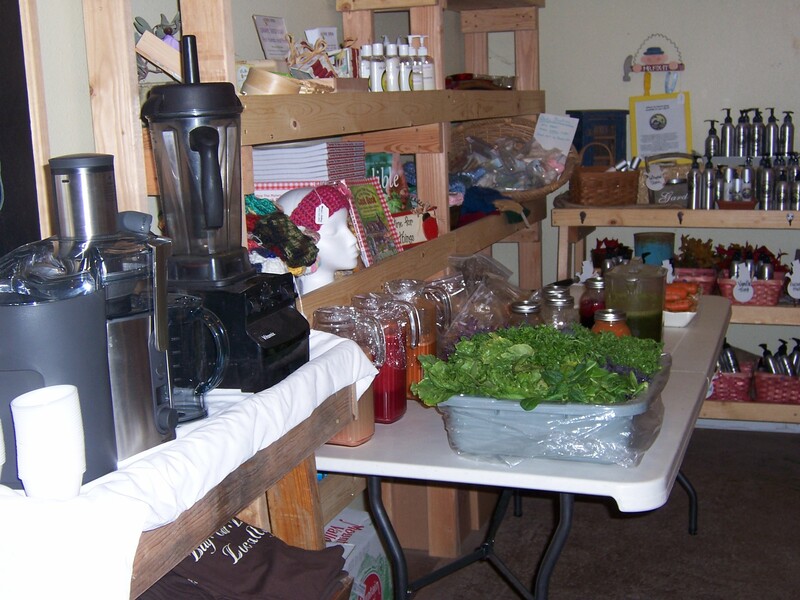 Last week, my dear friend Melanie and I taught a class all about juicing at her store. She is the owner of Nature’s Touch Harvest and Nursery in downtown Templeton. She is an amazing lady and such an inspiration! She taught the nut and bolts about juicing and I taught the what to do with all the pulp portion of the evening. We had a huge turn out for this class! 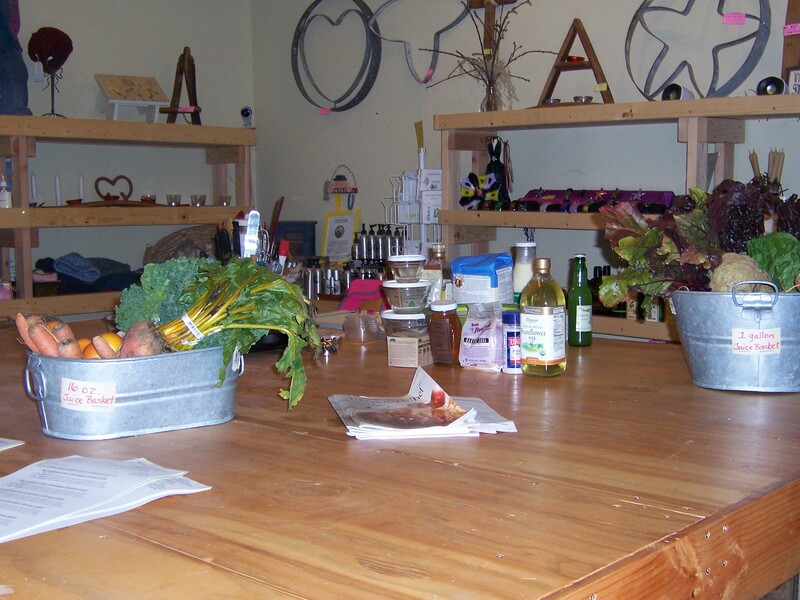 We teach healthy and organic cooking together once a month. 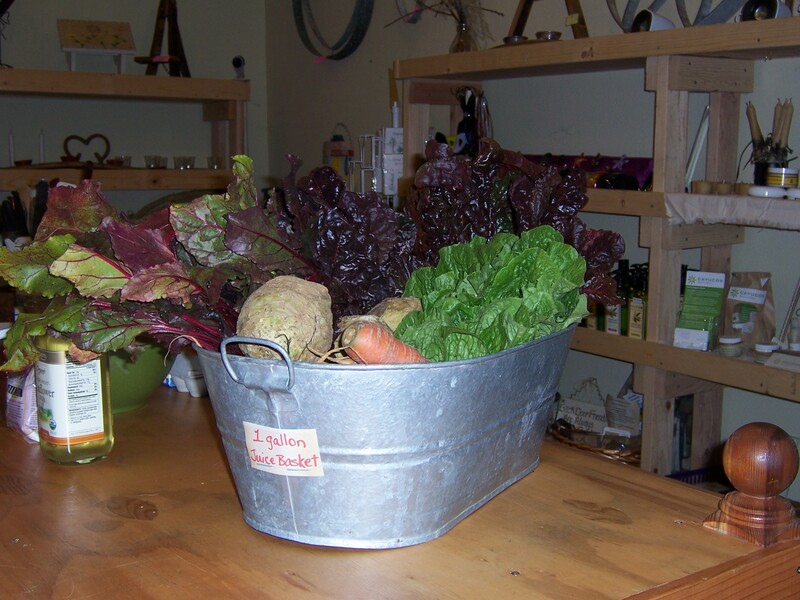 I teach the cooking and recipes and she teaches the health benefits of the various ingredients and how it is grown. We have been doing this for at least 2 years now! Here is a peek at what we had going on . . .
Everything to make 1 gallon of Juice! 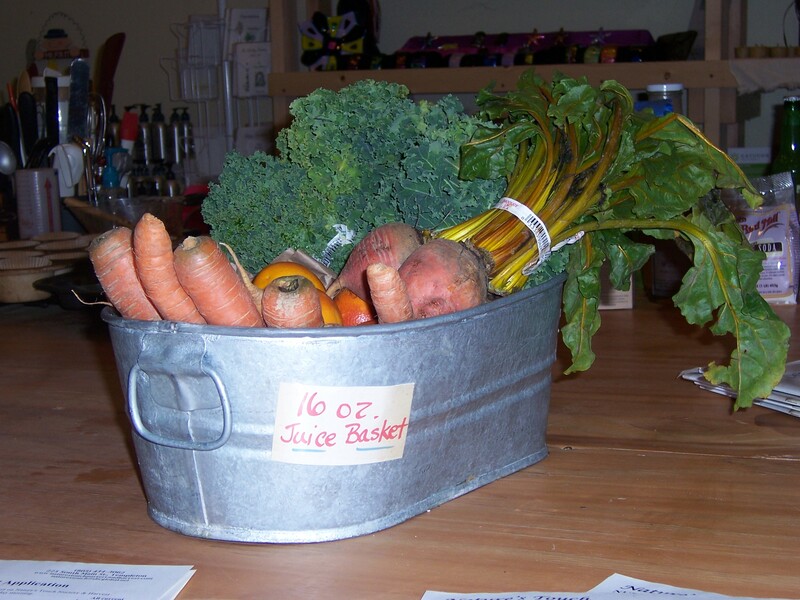 The baskets have a variety of fruits and vegetables! Ginger for your stomach issues, Spinach/chard/kale for iron, calcium and aminos, celery root for diaretic and intestine health, carrots, and various root veggies and/or fruit, depending on the time of year. My ingredients to make my Healthy Start Muffins with the juicing pulp! 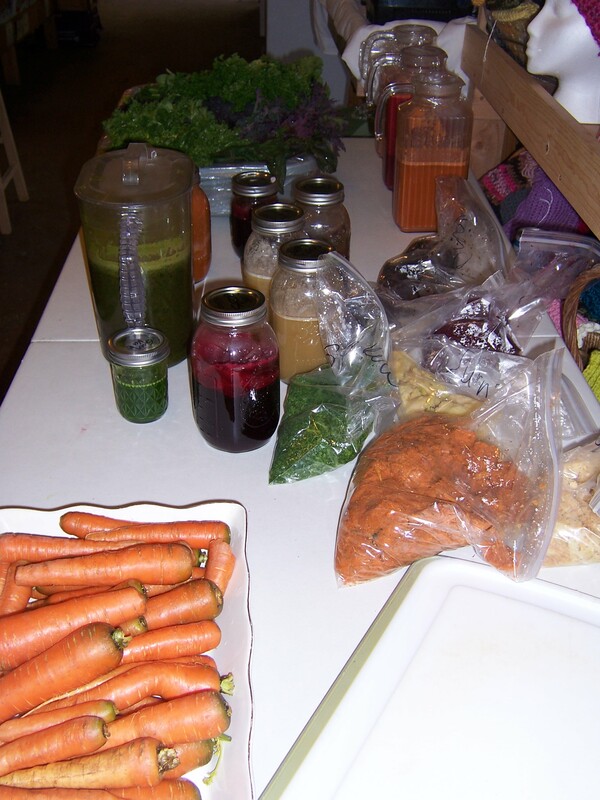 Melanie shared a couple of different juicers. She showed them in action and had a variety of different juices for guests to sample. We saved and bagged each of the different pulps from each vegetable. I used over a cup of pulp- a little bit of everything- to make my delicious, and pretty muffins! There is so much you can do with the pulp- put it in soups, casseroles, baked goods- the sky is the limit! Extra juice? Soup base! Don’t forget composting and chicken food! If you live on the Central Coast, let us know if you are interested in pricing for a private class for you and your friends! The great thing about juicing is that it is nature’s medicine! No need to pop a pill!